PARIS (AP) — French President Emmanuel Macron has called his friend and ally U.S. President Donald Trump to say he's very worried about tensions in the Middle East, after Trump's decision to withdraw from the Iran nuclear accord. 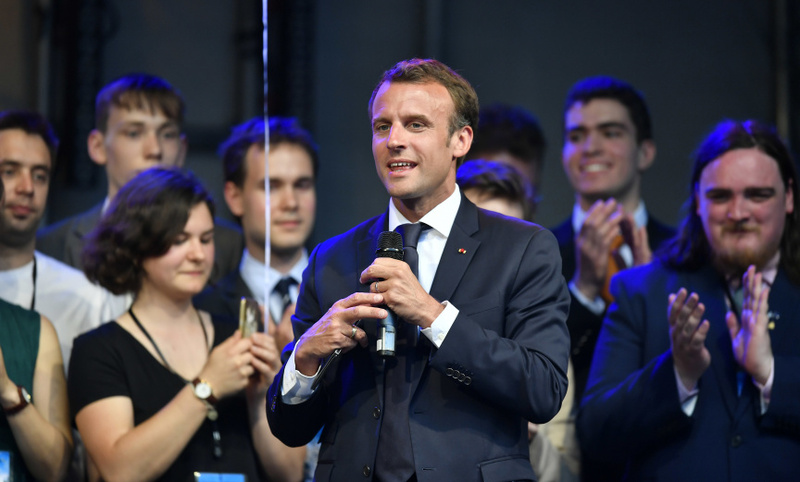 Macron's office said the two leaders spoke Saturday and the French leader expressed his "great concern about stability" in the region. Macron strongly opposes Trump's pullout from the 2015 global deal curbing Iran's nuclear activities. Hostilities between Iran and Israel have already escalated in recent days. Macron and Trump also discussed trade issues. European governments are scrambling to save billions of dollars in trade with Iran that resumed thanks to the 2015 accord. In addition, France and the EU are pressing Washington for exemption from Trump's steel and aluminum tariffs.